The Collegiate Running Association has announced the fifth-annual Collegiate Mountain Running National Championships will take place on July 8, 2018, at the Loon Mountain Race, hosted by acidotic RACING, in Lincoln, New Hampshire. For the fifth consecutive year, prize money will be distributed to the top college finishers in the men’s and women’s collegiate championships. This marks the third time in the past five years that the 10.62-kilometer Loon Mountain Race will host the U.S. and Collegiate National Championships concurrently. 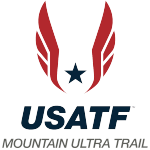 The Loon Mountain race will also serve as the USATF Mountain Running Championships, the sole selection race for the 2018 Senior Men’s and Women’s US Mountain Running Team. The top four overall finishers in the men’s and women’s races will automatically qualify to represent the U.S. at the 34th WMRA World Mountain Running Championships on Sunday, September 16, in Canillo, Andorra. Additionally, this year’s event will host the 15th annual North American, Central American & Caribbean (NACAC) Mountain Running Championships. 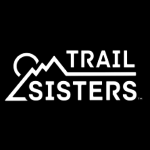 Named the “Most Competitive Hillclimb” by Runner’s World Magazine, this ridiculously tough race will force participants to climb over 2,000 vertical feet. The legendary climb straight up Upper Walking Boss makes another appearance, providing one of the toughest, awe-inspiring kilometers in the fast-growing sport of mountain running, reaching an incline of over 40%. The Loon Mountain Race is open to the public. In order to be eligible to compete in the Collegiate Running Association Mountain Running Championships, participants must either be enrolled in a college course at the time of the race or have completed a course during the spring semester (between January 1 and July 8, 2018). Collegiate participants must also be free members of the Collegiate Running Association to be eligible for the collegiate prize money. 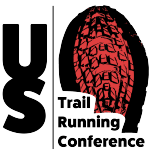 In order to qualify for the US Mountain Running team, participants must be current members of USATF and finish in the top four in the U.S. Championship. Registration for the Loon Mountain race is now open. Register today. In 2016 Matt Daniels (Adams State), Hayden Hawks (Southern Utah) and Bethany Sachtleben (GMU/NOVA) qualified for the US Mountain Running Team at the Loon Mountain Race.